The Apple Store that will never be. Apple has reportedly ditched ideas to develop an Apple store in Stockholm, Sweden. This came after the Stockholm City Council vetoed plans for a proposed flagship retail store in the area. According to a member Stockholm Urban Development Committee, Apple representatives were extremely upset after their proposal was rejected. The company had already made revisions to its proposal in order to fit the proposed historic location better. Apple also turned down officials who said they would help find a new location for the Apple Store. “There were definitely no kind words, it was nasty words that I do not want to repeat,” Björn Ljung, a member of Stockholm Urban Development Committee, told property magazine Fastighetsvärlden. Ljung was describing the Apple representative’s reaction to the news that the plan had been rejected. The possibility of finding a new location for the Apple Store was also turned down by Apple. “We were then told that Apple wanted nothing to do with Stockholm City anymore,” said Ljung. Apple bought a site for $13.9 million several years ago, located in the city’s Kungsträdgården park. It is now supposedly planning to sell the site back to the city of Stockholm for 179 million Swedish kronor ($19.2 million). However, while it’s understandable that some spaces should remain uncommercialized, the Kungsträdgården is already home to commercial properties. The location where the Apple Store would have been located is currently home to a TGI Friday’s restaurant. 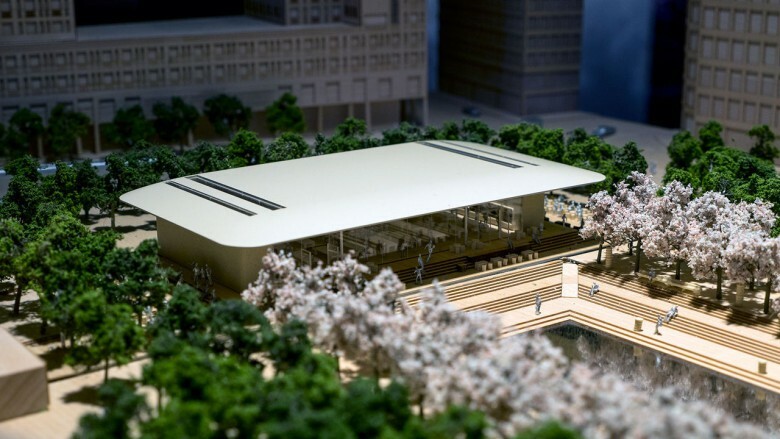 An Apple Store flagship would have been larger and more prominent, but also more attractive. This isn’t the first time that Apple has walked away from a potential project after receiving backlash and unwanted delays. Last year, endless delays caused Apple to ditch its plans for a giant data center in County Galway in Ireland.